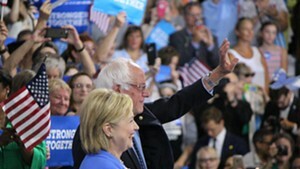 Hillary Clinton and Bernie Sanders campaign together Tuesday morning in Portsmouth, N.H.
Shyla Nelson stood near the stage Tuesday in Portsmouth, N.H., as Sen. Bernie Sanders (I-Vt.) used the words she hoped never to hear: He was endorsing rival Hillary Clinton for president. 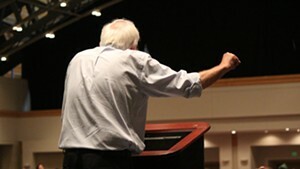 As a strident Sanders supporter and Vermont delegate to the Democratic National Convention, Nelson had held out hope against all odds that Sanders would continue to pursue the nomination at the convention later this month in Philadelphia. Nelson and the other Vermont district delegates who are pledged to vote for Sanders don’t know if, or when, the candidate will release them to vote for Clinton. 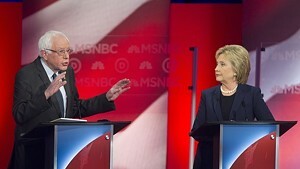 Sanders didn’t talk about that Tuesday in New Hampshire. Nelson, an environmental activist and artist, said she heard from Sanders supporters around the world after the announcement. 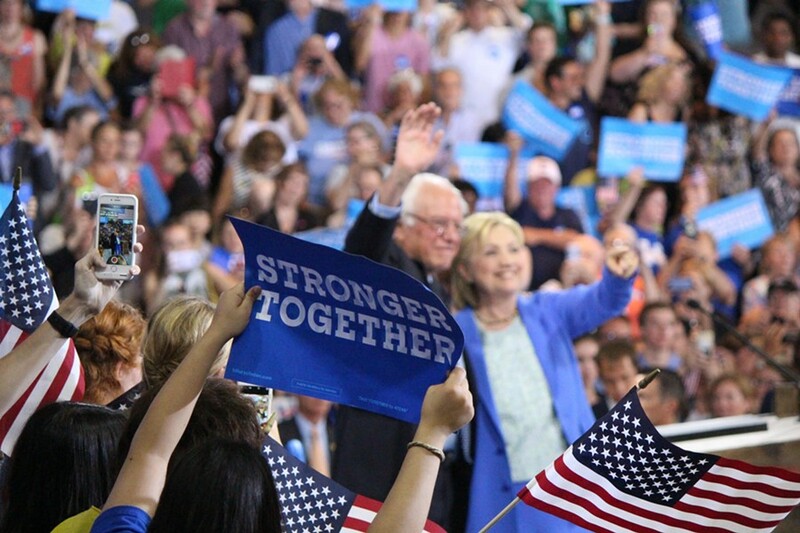 Some feel Sanders has betrayed them, she said, though that isn’t her reaction. 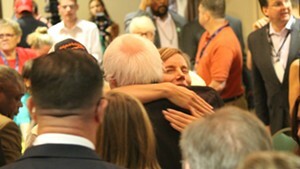 After the speech, she hugged Sanders and his wife, Jane O’Meara Sanders, in support. Ken Dean, a Sanders supporter from Montpelier who is fighting for credentials to the convention as a delegate after being ousted last week, said he doesn’t expect Sanders to release delegates before the convention. Though Sanders has won concessions from Clinton on platform issues, Dean thinks he has more to win on party rules. Dean wants Sanders to use his leverage to eliminate the use of unpledged superdelegates and to insist that all states open their primary elections to voters of any political party.